For the fourth consecutive year, we are grateful for the opportunity to partner with the WV State Treasurer’s Office to hold the Smart 5.29k Race/Walk to benefit children who have been adopted from foster care in West Virginia. Each year we look forward to this family friendly event in celebration of National Foster Care Month; an event that is great for serious runners as well as families and kids. The 5.29k Race/Walk raises funds for Smart 529 College Savings plan awards for children adopted from foster care. To date, more than $37,000 has been awarded in the form of Smart 529 plans since the event began in 2015. National statistics show less than 3 percent of kids who grow up in the foster care system go on to obtain a college degree. When a child from foster care is adopted into a loving family, his/her fresh start can also include a brighter future through higher education. A Kids Fun Run will take place directly before the main race for ages 12 and under. Children age 17 and under may participate in either race for free. All proceeds from the 5.29K registration, minus a $3.00 race fee, will be deposited into SMART529 College Savings Accounts. The accounts will be awarded through a selection process administered by Mission West Virginia. To qualify for the 529 College Savings plan awards, families must submit an application including an essay addressing the importance of higher education for foster and adopted youth. In order to be eligible children must be adopted from WV foster care and age 12 or under. Families and their agencies are also invited to an award luncheon at the Clay Center in November. This award ceremony features a presentation by Treasurer John Perdue and a presentation on college preparedness. Award recipients are also treated to an ice cream sundae bar and a Build-A-Bear project. 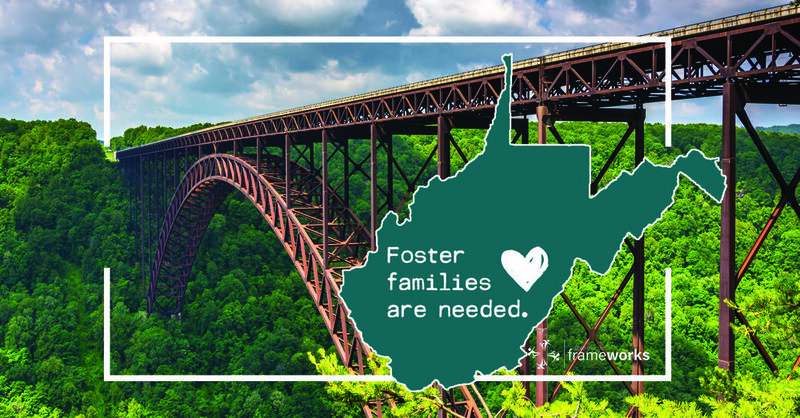 In West Virginia, there are more than 6,000 children in foster care and approximately 1,500 of these children are legally eligible for adoption and waiting for their forever family. What does this mean exactly? Children are placed in foster care most likely because of abuse and/or neglect. Foster care is meant to be short term while the parent or parents work to make changes so that they can safely parent their child(ren). But sometimes, parents are not able to make these changes. When this is the case, they can voluntarily give up their parental rights or the court can take away those rights – the child then becomes “legally eligible” for adoption. You might have heard of "TPR" - this stands for "termination of parental rights." That child or children if it is a sibling group, remains in foster care until they are placed with an adoptive family. When we say that 1,500 children in West Virginia are legally eligible for adoption, we mean that parental rights have been severed (voluntarily or involuntarily) and that they have not yet been adopted. Luckily, many of these children are placed with loving relatives or foster parents who will complete an adoption. Often, a child will be matched with the foster family they are living with if that family is interested in adoption. Other children may take a longer time to be matched with a family, often because they are older, part of a sibling group or simply because there are not enough adoptive families. Often, these children are listed on the Adoption Resource Network (ARN), the website for the West Virginia Department of Health and Human Resources. On this site, you can see photos and read profiles of these children. Once you have completed certification to foster/adopt in WV, you can register on this site and inquire about these children. Once you've made an inquiry, the child's worker will receive your information and if your family seems like a good fit, they will contact your worker for further information. Decisions about matching children and families often involve the child’s entire team, including workers and attorneys, as well as the family’s worker. What happens if you are matched with a child or sibling group on the ARN? Often, you will start having day visits with a child followed by weekend visits. If everything is going well, the child will be placed in your home. After the child has lived with you for 6 months or more, you can complete the paperwork to officially adopt. Once adoption is complete, the child’s new legal parent has the same responsibility for the child as if they were the biological parent.